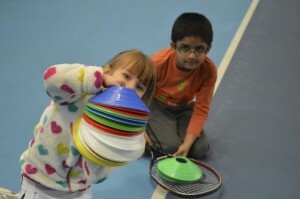 Mini Tennis is a great introduction to the sport for young children between 3 and 10 years old. It’s just like the real thing, but with smaller courts, nets and rackets and lower-bouncing balls. This tailored approach, based on age and physical maturity, enables players to develop vital skills and techniques at an early age. 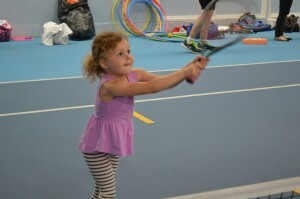 Letchworth Sports and Tennis Club has an extensive Mini Tennis Programme. There are a variety of pathways you can take during your tennis journey, all designed to help develop each individual into a better person, athlete and player. Tots - 45 minutes of fun games and tennis activities, introducing toddlers to the game of tennis and developing the early FUNdamentals needed for any sport. Parent/guardian must be in attendance. Club - Acquisition of basic skills, movement and strokes; catching, throwing, balancing all linked to help them deliver and receive a tennis ball (ABC's). Development - Further development of tennis strokes, movement, grips, swings and rules. An understanding of tactics, rallying and scoring is also acquired.